What’s great about this time of year is that you can get away with wearing a nice jumper and not have to cover it up with a coat. 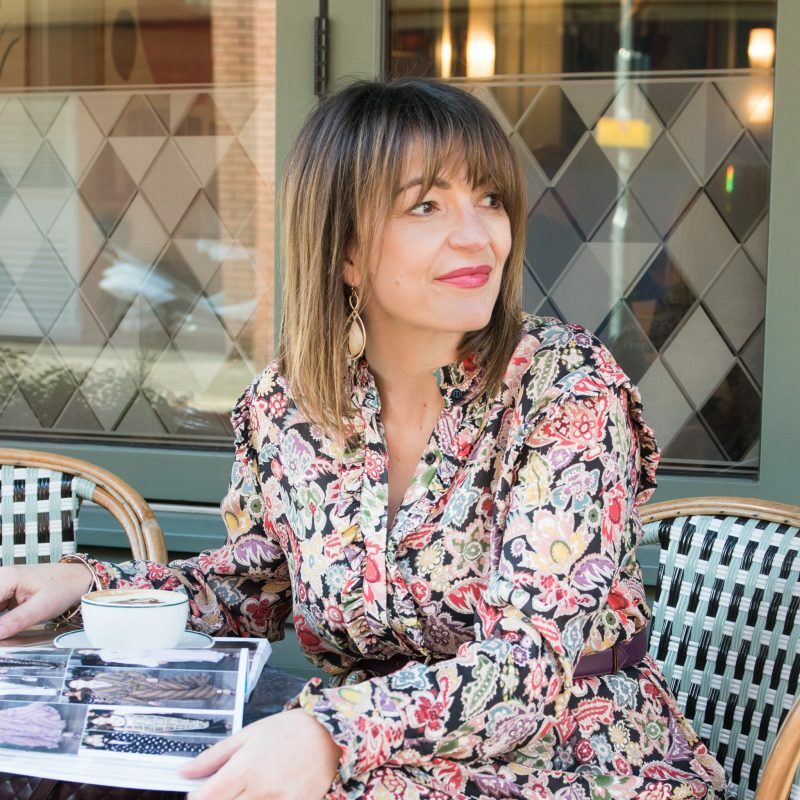 The oversize jumper is one option you can consider with two main ways to wear it, firstly with jeans and boots for a dress down weekend look or you can twin it with a midi/maxi skirt again with pumps or trainers and this is a great city weekend look when you want to be a tad smarter than jeans. 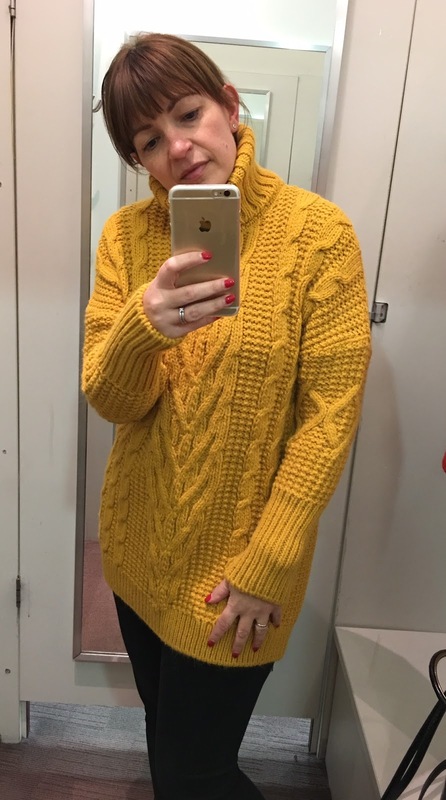 I’m going to caveat this post with one important message – oversize big jumpers do not look great on everyone, now that’s not to say you can’t wear them at all but you need to think about fit, from all angles plus the thickness of the knit and how it works with your body shape. I’m an hour-glass and my sister shape, pear, are the two that will struggle to pull this one off. 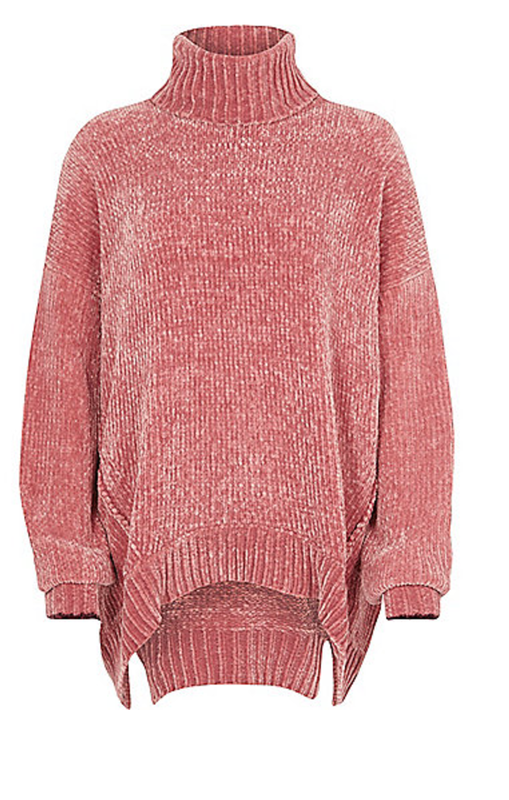 I personally think inverted-triangle (this is wear your shoulders are broader then your hips) is the best body-shape for oversize jumpers, they have the shoulders to carry off a heavy knit and then they have the great legs to go with it. They look great don’t they! Certainly a show stopper in store, whilst I was picking them up two other ladies were going to try them on too. I loved the colours especially the mustard, but I struggled with the neckline, it was way to high. I found it quite uncomfortable and couldn’t quite decide if I would get used to it or not. That said, I thought these were exceptionally good value for the quality you were getting at £35. I’m wearing a Medium below and this seemed about right, opt for that if you are 12/14. I’m wearing a Medium here, I certainly wouldn’t want it any bigger. 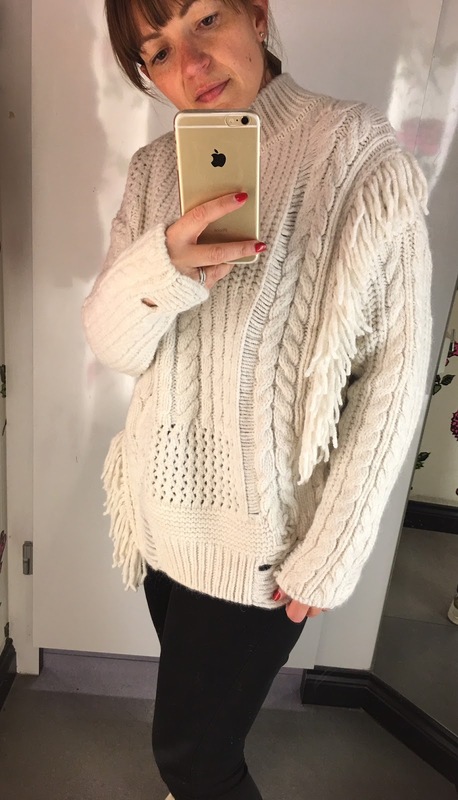 Staying with H&M, this was probably my favourite, I know this because not only did I love love love the feel of it as soon as I put it on, but I took lots of photos which to me is indicator that I like it. 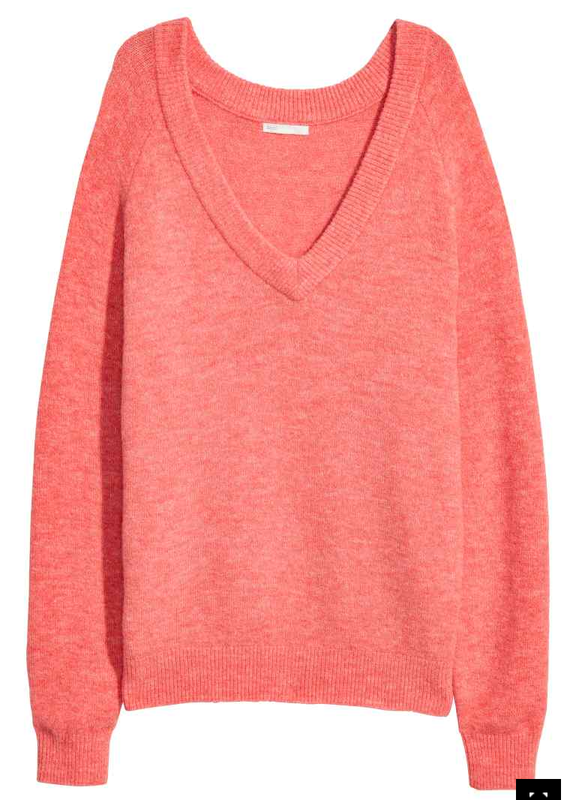 Again wearing a medium and I think before I purchase it I would want to compare this to a small. This is on my future shopping list, as I couldn’t stop thinking about it after my trip. Now I’m really sorry, but it’s not on their online shop so you’ll need to check in store, the price is £39.99 and I didn’t see it in any other colourways. The green H&M jumper I’m wearing at the top is again not online, but I’ve seen it in store loads, I didn’t buy it originally as my size didn’t seem to fit right, and when I opted for smaller I wasn’t keen. 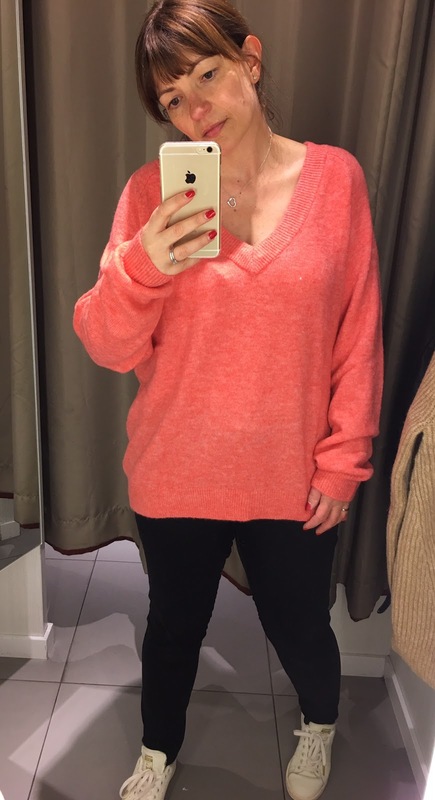 The following week I tried the XL on (two sizes bigger), and it works as an oversize fit and so at £17.99 I thought this is ideal for AW17. It has gold threading through it so it shimmers in the light. I’ve had quite a few compliments so far, so it’s a winner for me! 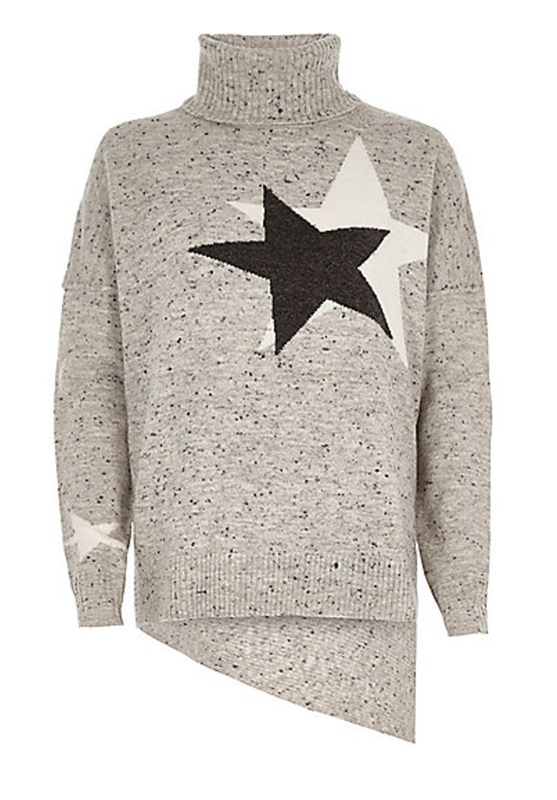 And then I headed to River Island, I’ve always loved River Island jumpers you get quite a lot of options and prices are good. 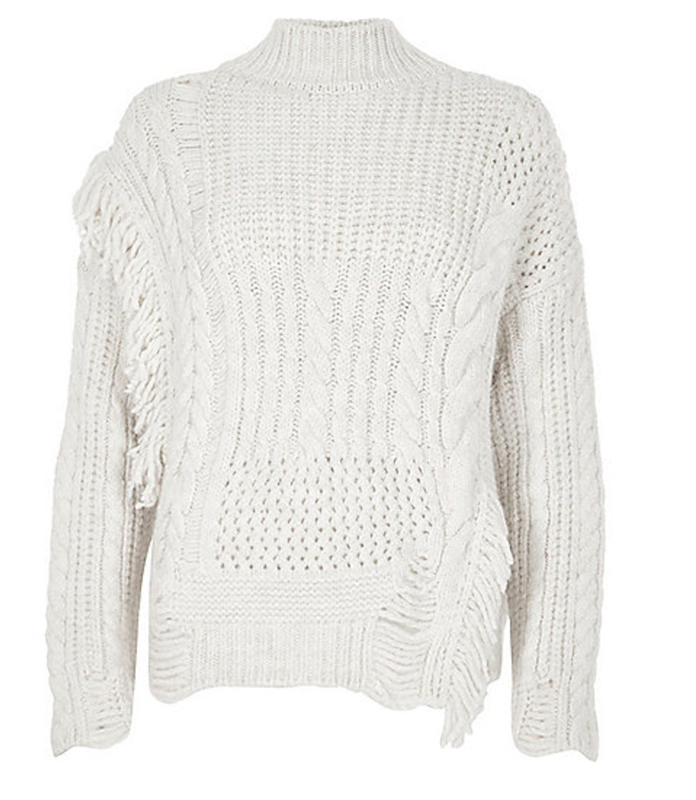 I tried this gorgeous cream jumper on, I really liked the fringe detailing and a great fit, I’m wearing a 12. 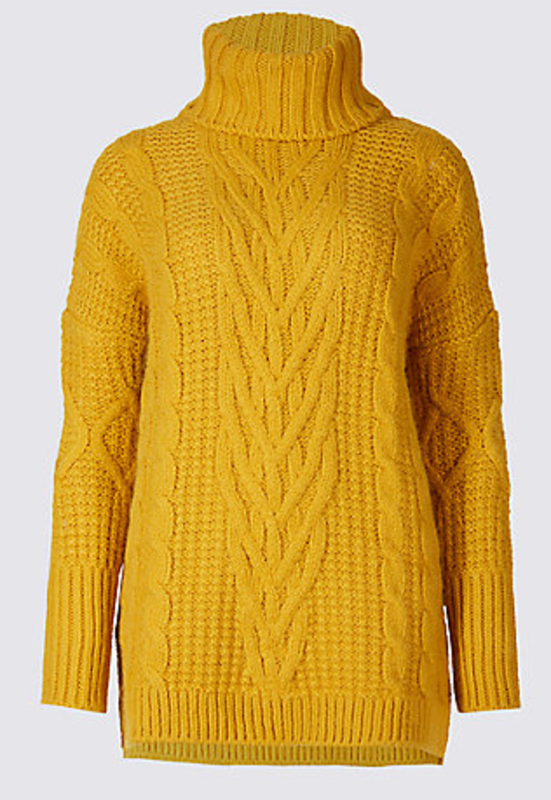 It has a snuggly feel and I could imagine wearing this on a cold day as your heading off for a Sunday roast. Since checking this one out online, I noticed a few more that I didn’t see in store, which I think look fabulous too. This one hangs lower at the back – could for covering the bum! 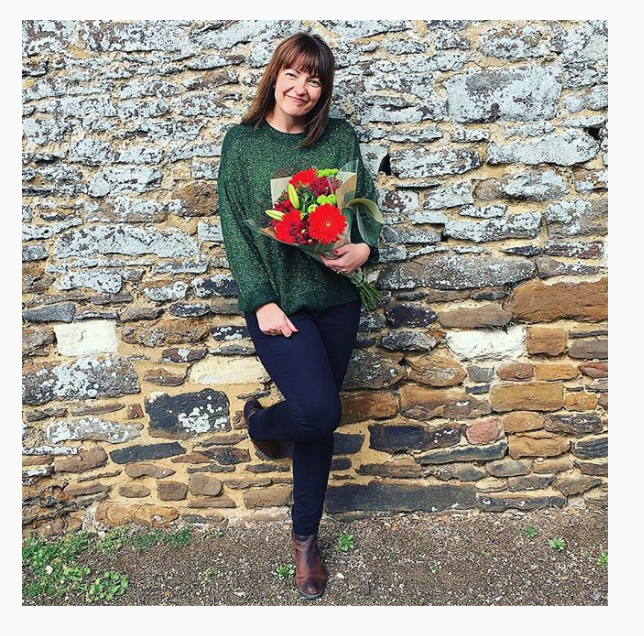 I’m going to finish this post off with an Instagram popular jumper – it’s been everywhere on there. 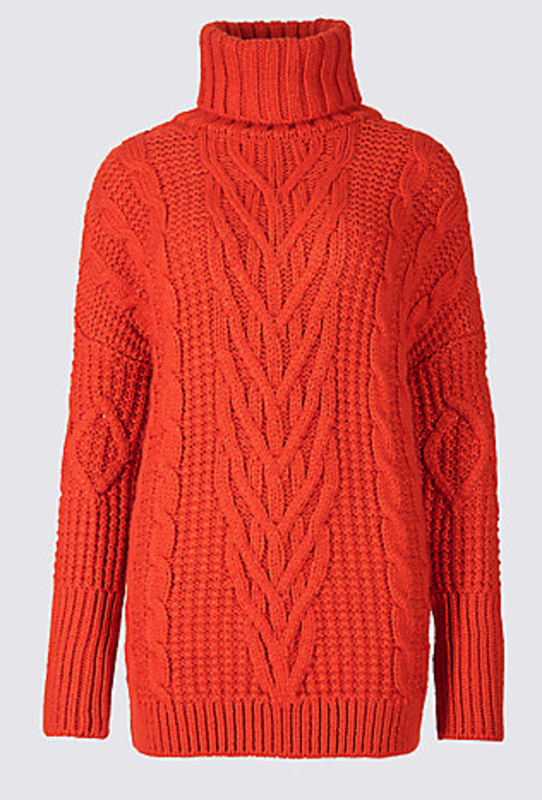 I’ve notice online there is limited sizes available in the three colour options, but I’m sure if you head into your local John Lewis that has a Hush concession, you should still be able to get this in store. 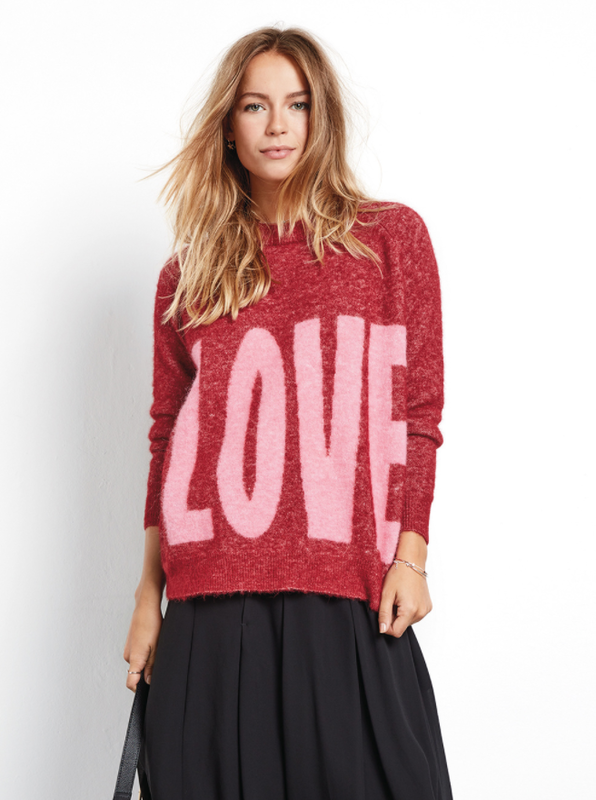 The post Big Love for Oversize Jumpers was on Loved by Lizzi first.